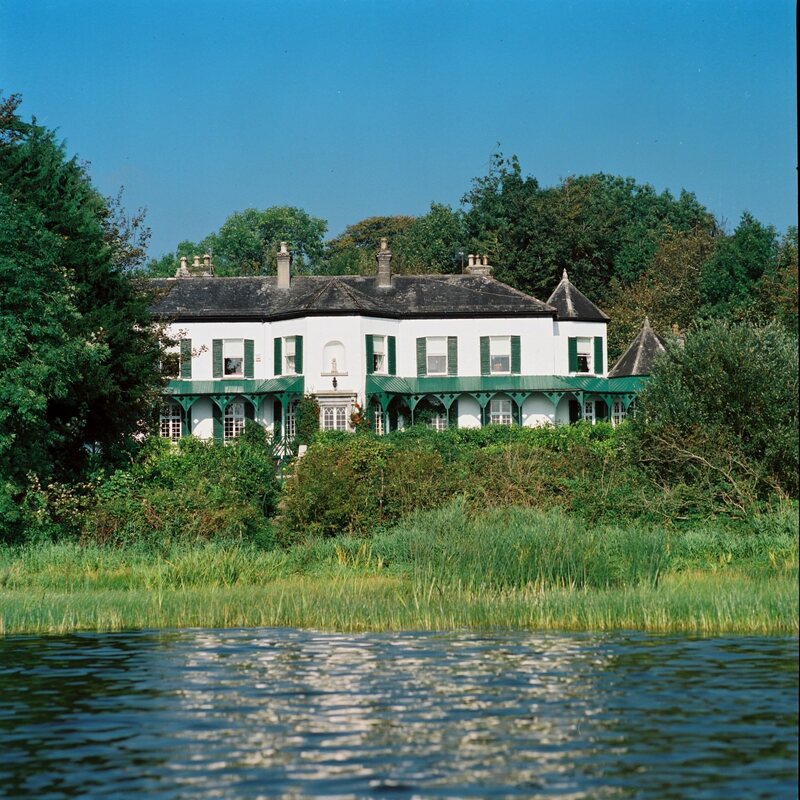 Ashley Park in Nenagh, Co Tipperary is a 17th Century Georgian House set in over 70 acres of woodland on the shores of a lake. The grounds contain a walled garden, fairy forts, tree-lined drives, lakeside paths and even a castle .Ashley Park is a 17th Century House with private fishing lake set in over 70 acres of woodland some of the trees are 300 year old. This historic house is located on the shores of Lough Ourna and provides an ideal location for those who love walking, hiking, fishing, sailing, golf and bird-watching. The property contains a walled garden set with gazeboes, greenhouses and a gardeners cottage. This Georgian house is an excellent location for weddings, private parties and conferences.